Happy Friday! And it is……. I was pleasantly surprised to bump into the “Pig on the Street”. Go down and meet Krissy and Mark and consider their recommendation…. I did and WOW! 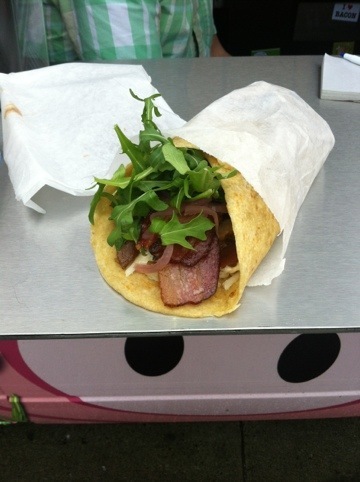 I had the “porker” – double smoked bacon with sausage stuffing with apple and sage, topped with caramelized onion mayo and greens on a fresh flatbread. They have only been open since Wednesday and I am sure with there bright personalities, friendly demeanor and oh yeah….. Oinkalicious food! Go by and try…. I know you go back! 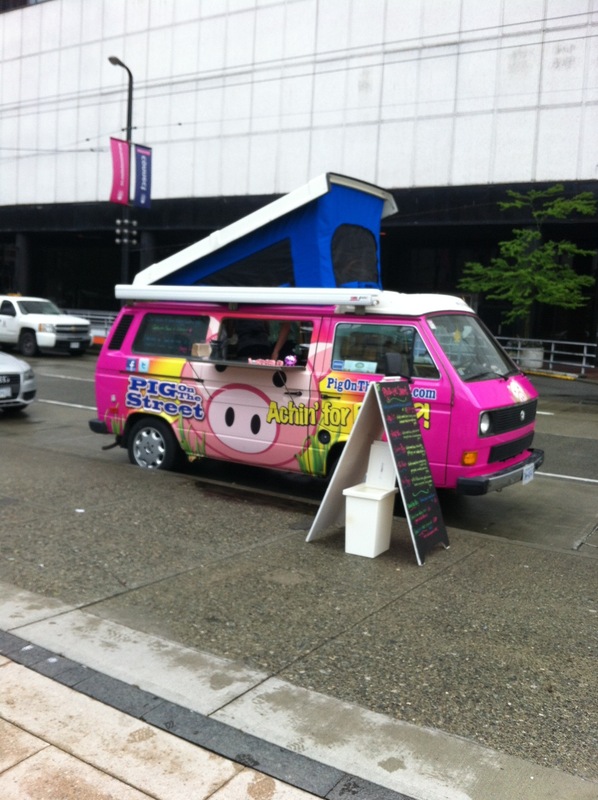 Welcome to the Vancouver Foodtruck scene Pig on the Street! Preheat the oven to 350 degrees. Line a 9-by-13-inch baking dish with parchment paper, leaving an overhang on two sides. Press the paper into the corners of the pan and lightly grease the paper with butter. Melt the 2 sticks of butter in a nonstick saucepan over medium-low heat; do not boil. Remove from the heat and let cool slightly. Add the sugar, eggs and vanilla to the saucepan and stir with a wooden spoon until combined. Add the cocoa, flour, cinnamon, chili powder, salt and baking powder and mix until smooth. Spread the batter in the prepared pan and bake until a toothpick inserted in the middle comes out fudgy, 20 to 25 minutes. 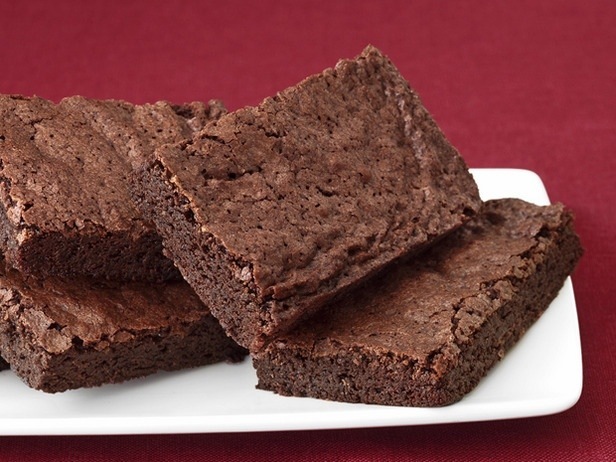 Cool in the pan on a rack, then use the parchment paper to lift out the brownies before slicing. 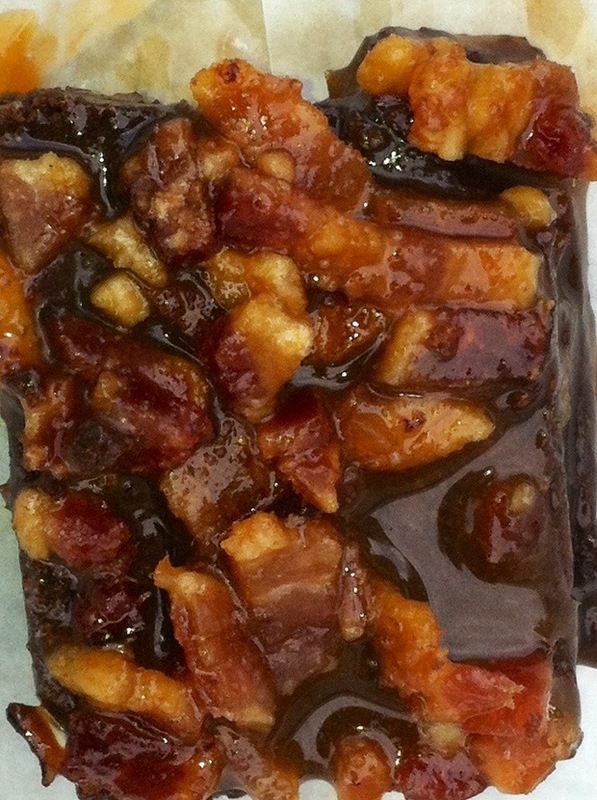 Copyright 2012 Television Food Network G.P.